The reasons to go on vacation in the winter in Sharm el Sheik are therefore basically two: the climate is perfect, neither too cool nor too humid and there is no rush of tourists. No coincidence that all recommended leaving for Sharm el Sheik in periods ranging from January to June and from September to October, except to check when there is the Ramadan (may find many shops and businesses closed during this period): winter temperatures vary between 20 to 25 degree, while in the summer traveling about 35-45 degree as nothing. Let’s say that Sharm el Sheik offers an ideal holiday for all. You can dedicate yourself to sports, you can get a tan in the sun, you can indulge in the activities proposed in the resort and you can also make interesting excursions. 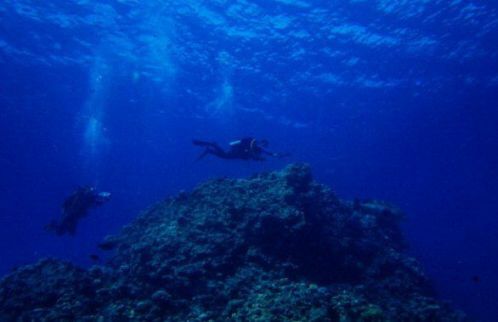 Sharm el Sheik is the ideal destination for water sports or for observation of the reef and the coral reefs of the Red Sea coast, here you will find divers from all over the world. So this means that the resorts and hotels are ready to offer the necessary equipment, it just asks for time. But not only can scuba diving we are talking about, here be practiced safely also snorkeling, windsurfing and canoeing. As for excursions in Sharm El Sheik, you can: explore the Sinai desert by any means you can think of (motion with four-wheel drive, jeep, camel, horse, with the Bedouin guides); a visit to the Mohammed marine park; boat trips to the island of Tiran; swim in the salt lake; you can climb on Mount Sinai; you can stretch and go see the pyramids of Giza; you can get to Luxor; you can take a tour of Cairo. The possibilities are endless. Remember then that Sharm el Sheik is served by ‘International Airport Sharm el-Sheikh and the tourist port, while for moving on site no shortage taxis, vans for rent converted into group taxis and rental cars. In addition to the buses.